It is not often that we here about government programs that represent success stories. Here is one about being on schedule, under budget, benefitting a community and anglers too. I am referring to the Lake Havasu Fisheries Improvement Partnership. 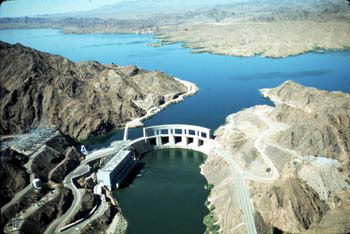 Lake Havasu is located on the border between Arizona and California. This 45 mile long reservoir was created behind Parker Dam on the Colorado River between 1934 and 1938. Photo by U.S. Department of Interior. Lake Havasu City is on the lake's eastern shoreline in Arizona. 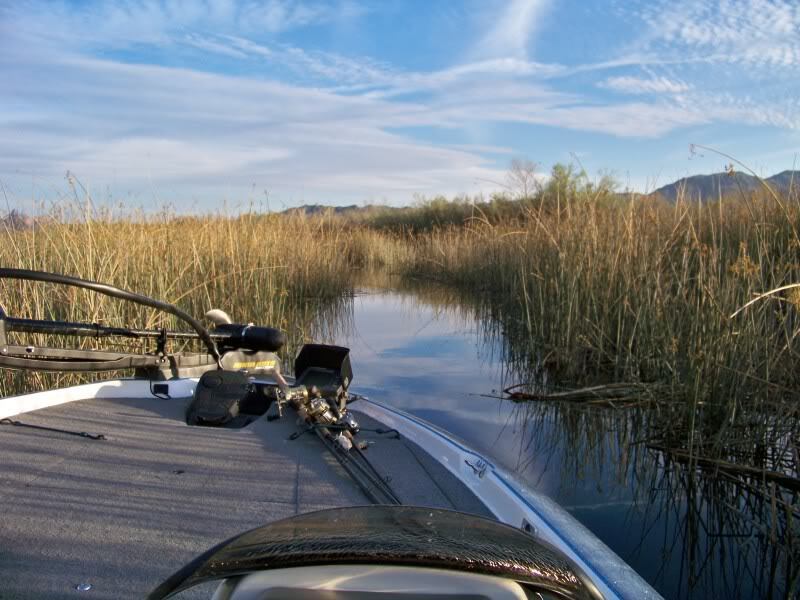 Upon visiting this desert oasis for the first time in 2008 Havasu has always been one of my upmost favorite fishing destinations. I have always experienced excellent angling here. The main lake coupled with the river environment calls out to my spirit. My trips here represent adventure . As the years pass with each visit the catch is getting better and better, this is not due to fate, it is by design. As good as the fishing is, it has not always been this way. In the early 1990's reservoir managers noted significant declines in native fish populations. Angler catch rates were plummeting and without a boat it was difficult for anglers to approach the steep rugged shorelines. Using a diverse approach the Partnership consisting of several agencies was formed to address these issues. Not only did they develop progressive solutions the results support the local community. The Fisheries Improvement Program was developed in 1992. With an initial budget of $28.5 million, work began in 1993. The program's initial goals were met in 2004 at a cost of $18.0 million. WOW that is $10.5 million dollars under budget and Unheard Of! The scope of this project is broad and very comprehensive. It is hard to decide where to start as one describes it. The program certainly has recognized and captured opportunity. Lake Havasu is within a 5 hour drive of 25 million people. Building a dam and creating a reservoir is the process of flooding a valley. Coupled with the introduction of non-native 'Game Fish', which often represent predators, unique native species are at a high risk when their habitat is changed. By creating and protecting ideal spawning grounds the Razorback Sucker and Bonytail Chub native fish programs have been deemed a great success. The Razorback stewardship is the largest in the Colorado River Basin. Non native Catfish and Red Ear programs are thriving too. Build it and they will come - Docks of Dreams; providing universal access for Havasu shore anglers is unsurpassed. 6 shore fishing docks have been planned. Some are located in shore angler only coves. 5 strategically located fishing docks have been built between 2000 and 2004. ... supporting anglers, hikers, day campers and kayakers. As rugged as the desert is, it is actually a fragile landscape. Going back to earlier days with a new dam and flooding the valley the original cover elements within the lake soon disappeared. It was very obvious that this too was hurting the fishery. Benefitting all fish species the Partnership has made up for it in tremendous ways by creating 875 acres of habitat. These ' artificial reefs' are varied and throughout the 45 miles of lake between the dam and the mouth of the river..
1/10 of the habitat program is organic requiring natural brush to be constantly augmented. Prepared by volunteers, this pontoon boat is loaded with habitat ready for installation. The water at Havasu can be extremely clear. This 'reef' is over 10' below the surface. This photo of a typical cove shows that the habitat is the only cover element within the vicinity. It is spectacular what has been accomplished. A 2001 economic report estimated a combined $30 million plus annual benefit to the regional community as a direct result of this project. It is also important to acknowledge that the initial funding primarily came from sources outside of the Havasu Community. How else can success be measured? 'Angler Satisfaction'; In the early 1990's bass tournaments waned and were all but non-existent. Winning limits for 5 bass then would typically range from 10 to 13 lbs. The end of the 90's witnessed an increase to 15 lb bags. In 2000, 18 lbs was commonly needed just to cash a check. The 10 lb largemouth barrier has been broken and the number of smallmouth showing up at the scales is dramatically increasing. The scope of this project is ongoing and continues today. At a solar powered facility this 'Green' sustainable program operates with just two employees; Kirk Koch the Fisheries Project Manager and William Bryan the Partners Point Fisheries Program Director. The thousands of volunteers hours that have gone into this endeavor are paramount to its success. There are many ways that anglers can provide support or simply express appreciation, both are important. 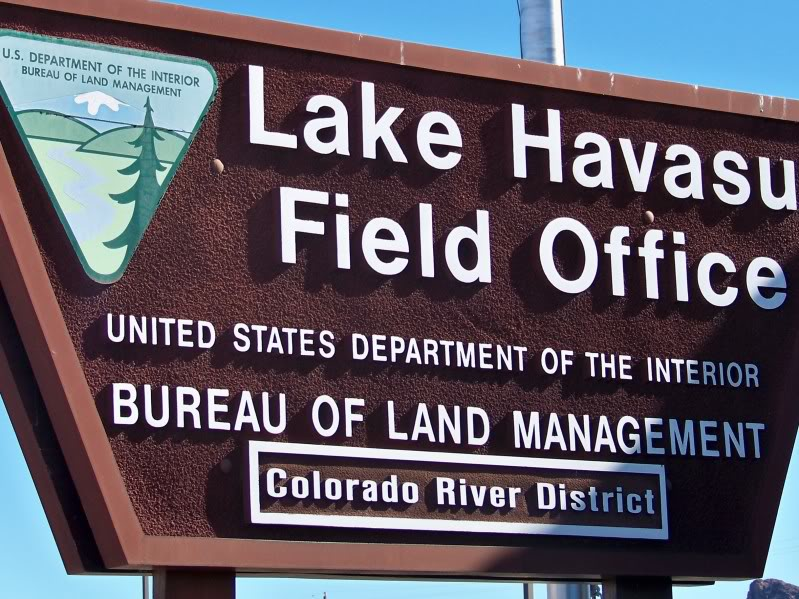 If you would like to donate materials, including brush, tree trimmings or volunteer contact William Bryan at the Bureau of Land Management Havasu Resource Area Office at 2610 Sweetwater Ave. Lake Havasu City, AZ 86406 (928) 231 4891. You can call Kirk Koch at (928) 505 1237, or email your comments to kirk_koch@blm.gov . This is why you hear so many bass anglers say that Havasu is awesome. This outstanding program has provided access for angling, improved an ecosystem that helps diverse fish species while creating a valuable destination that supports the community. It has also produced a fantastic bass venue. The vision, management and the people responsible should be recognized and applauded.